Everyone makes mistakes. It is the way of life. But it can be very helpful if someone just points out and gives a ‘heads-up’ before you make one, right. Think of this post as a heads-up when it comes to tax planning. So, read on to know some of the common mistakes you should avoid when you do your annual tax planning exercise. Procrastination: even the best of people indulge in it. Apparently, Leonardo da Vinci was a master procrastinator. He took nearly 15 years to complete the Mona Lisa. Sadly, tax planning is not a work of art. Most people think of tax planning only during the last quarter of the year (sometimes even later). By doing so, you can make rushed decisions which could lead you to pick wrong investment products. Under Section 80C of the Income Tax Act, you are eligible for tax deductions up to Rs 1.5 lakh. But that does not mean you simply try to reach that limit without carefully checking your investments. This may help you earn short-term tax benefits but you might lose out on long-term investment opportunities. On the other end of the spectrum, many people are unaware of the limit. As a result, they do not make use of the tax-saving opportunities. Therefore, you should understand the rules and invest in an investment vehicle that can get you the best of returns as well as tax benefits. Public Provident Fund (PPF), National Pension Scheme (NPS), Equity Linked Saving Scheme (ELSS) and Unit Linked Insurance Plans (ULIPs) are some of the investment options that can help your wealth grow and also help you save on taxes. It is said: Ignorance is bliss. But, it certainly isn’t when it comes to your money. Just imagine that after the deadline you find out that you could have saved another Rs 50,000 in taxes! There are many deductions available apart from Section 80C. You can avail deductions on education loans, donations, medical expenses and even on interest on housing loans. These come under various sections such as 80D, 80DD, 80E, 80GG and many others. A lot of people in India invest in fixed deposits (FDs). You are allowed to make a one-time tax claim on the investment you make. However, they may not be very useful when it comes to saving taxes. This is because the interest you earn on your FDs are taxable. Instead, you could opt for tax-efficient schemes such as Public Provident Fund (PPF) or even diversified tax-saving mutual funds. You could do this by investing through systematic investment plans (SIPs). SIPs are a very efficient way of gaining investment returns as well as tax benefits at a low level of risk. Invest in Equity Linked Saving Scheme (ELSS) funds to qualify for tax exemptions under Section 80C of the Income Tax Act. So, whether you like it or not, you cannot avoid your tax planning. So why not do it well? 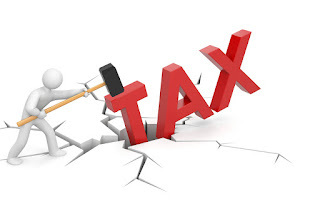 Avoid the above mistakes and enjoy the extra monetary benefits you can gain from saving tax.